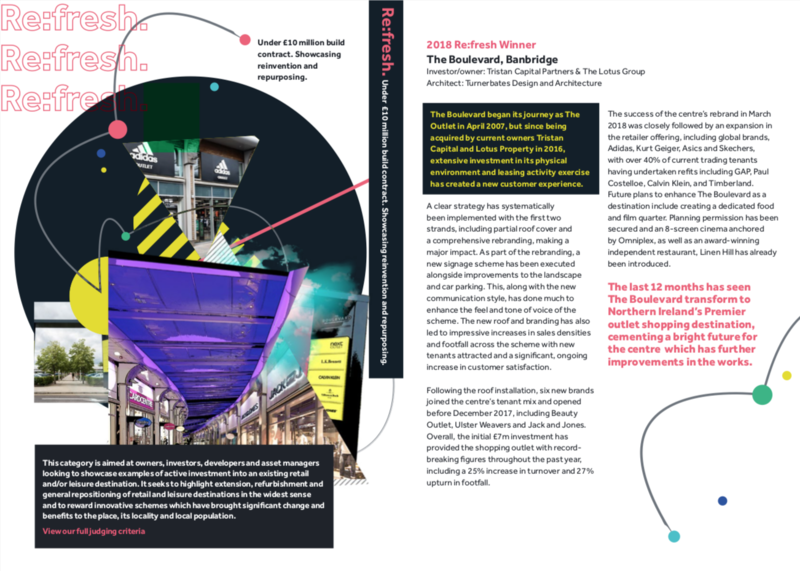 We are thrilled to announce that The Boulevard, Banbridge, Northern Ireland, has won the REVO Re:fresh Gold Award 2018 for construction cost of up to £10million. We had a fantastic time celebrating everyone’s hard work alongside clients at the awards ceremony on the 5th December. 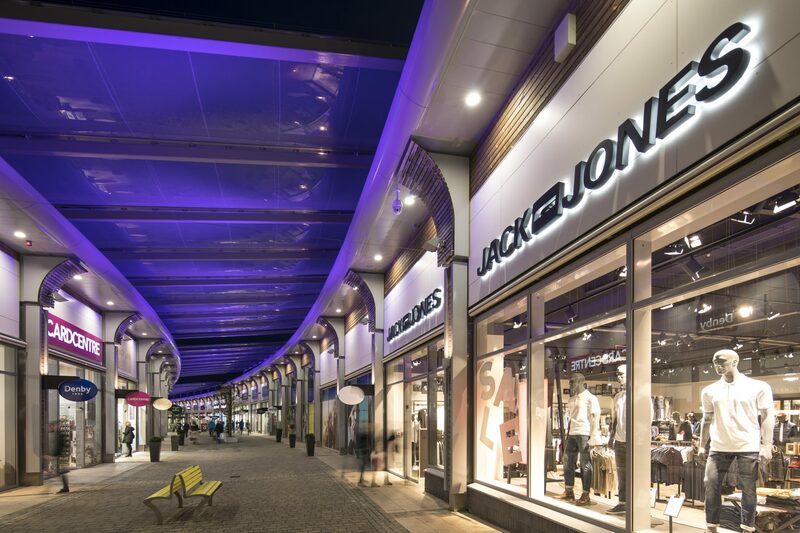 turnerbates have worked alongside the Lotus Group and Tristan Capital to regenerate the scheme with new tenants, branding and wayfinding in association with BWP, and ETFE canopies – all encouraging a 27% increase in footfall and 25% increase in sales at the centre to date.